Hi there! This is Umana! I am a student of Advertising at the University of Tennessee. This is my introductory post for my travel blog ‘Umini’s Itchy Feet!’ I admit I have got ‘itchy feet’, meaning I have a very strong desire and an irresistible impulse to travel. Yes, I have been bitten by the ‘travel bug’ indeed! I come from a beautiful country named Bangladesh — the world’s largest delta, which is situated in the region of Southeast Asia. I started to travel outside my home country Bangladesh when I was only nine years old. Traveling has always been my passion. I chose to write travel blogs for my ‘Social Media’ course since I realized I should pick a topic that I’d only be truly passionate about writing! Currently I am at the United States of America since I am studying ‘Advertising’ here at the University of Tennessee at Knoxville. I am actually doing my second masters here. I love Advertising and that’s what has brought me here! Intriguing ads are like ‘clever pieces of puzzles’ to me! I had a little bit of working experience in advertising and public relations at my home country long time back when I used to work for the hotel Sheraton. Later on, once I joined the academia, my co-curricular activities in addition to my usual teaching responsibilities included developing collateral and web content for the University of Asia Pacific in Dhaka. My goal is to become a communication specialist and/or educator for a growing organization/institution, with potential promotion to higher levels. I feel anybody who teaches any subject should always keep abreast with the latest trends, especially when it comes to social media and marketing. One can do a good personal branding with social media since it actually is a virtual window to the world! I have been fortunate enough to travel a whole lot throughout the world! People say that I am ‘well-traveled’. My travel experiences abroad include many different countries that I had been to, often many a times in almost all of the countries! The countries that I have traveled until now include: Australia, Singapore, Malaysia, Bangkok, United Arab Emirates, India, Turkey and last but not the least, the United States of America. I am enjoying what I have been learning in the Social Media class. I really am fascinated about learning by doing approach in this course. It is a fabulous way of learning so many new things every single day in this course! This is absolutely amazing. 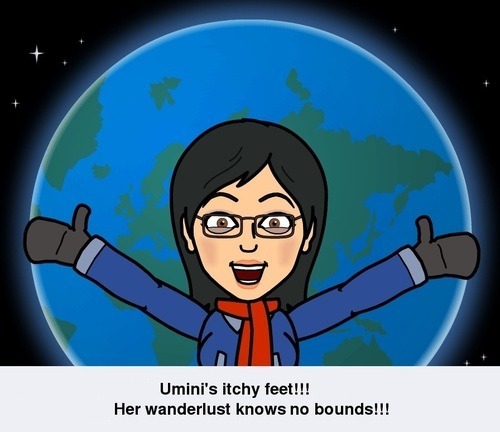 This blog ‘Umini’s Itchy Feet’, as the idiom in the title of the blog suggests, is about my wanderlust – my interesting travel experiences around the world! I have started this blog very recently as a partial course requirement of ‘Social Media’ yet now that I am enjoying all that ‘blogging’ has to offer, I do believe I shall be continuing with this blog even when I am through with this commitment! I am an avid learner and I have been learning a whole lot from my passion for wanderlust! I look forward to your comments and questions if you have any of my blog posts. I promise I shall be posting three times a week for you! 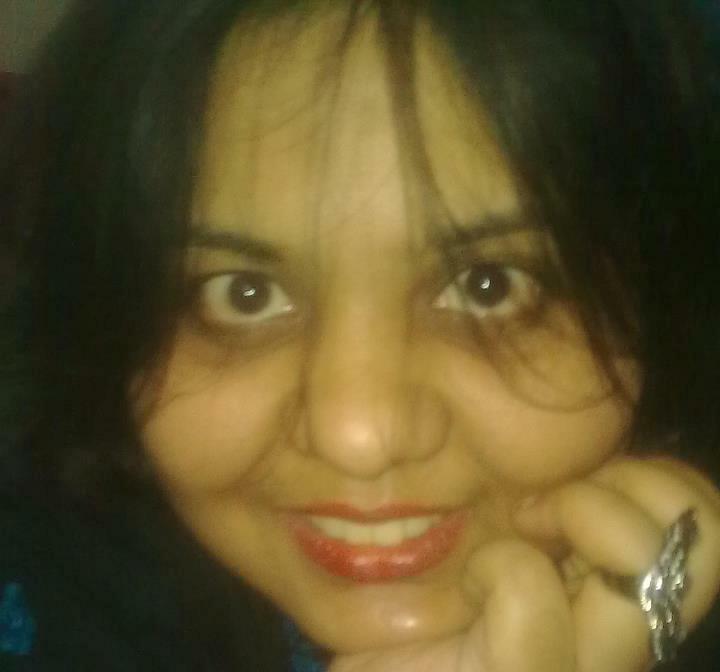 I hope you would enjoy my blog ‘Umini’s Itchy Feet!’ I shall be catching up with you all at least three times a week. Thanks for dropping by and I hope to see you again soon! Take care, bye! Your ideas and words are clear to see for anyone like me. This article and many other on your site are very interesting. You should show your content to bigger audience. There is a big chance to go viral. You need initial boost and visitors will flood your site in no time. Useful info. Fortunate me I found your site unintentionally, and I am stunned why this coincidence did not took place in advance! I bookmarked it. just made a few days ago? Any sure? Admiring the dedication you put into your website and in depth information you present. It’s good to come across a blog every once in a while that isn’t the same out of date rehashed information. Great read! Hi! I used to get a lot of spams. Then I installed the “Stop Spam Comments” plugin offered by WordPress. Although spam hasn’t stopped totally, yet it reduced about 85-90% of spam comments. Hope this helps! Yes, Hi! I have customized my site from Scott Smith’s page theme named ‘Decode’. Hope this helps! Wonderful, what a weblog it is! This blog gives valuable information to us, keep it up. I think what you published made a ton of sense. However, what about this? however suppose you added a post title that makes people want more? 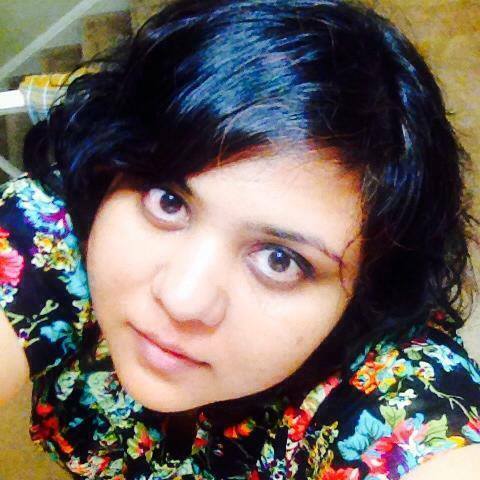 I mean About Me | Umini’s Itchy Feet is kinda boring. interested. You might add a related video or a related picture or two to grab people interested about what you’ve got to say. In my opinion, it might bring your posts a little livelier. Thanks for your kind suggestion! Definitely I would look into the pages you have suggested. aren’t loading properly. I’m not sure why but I think its a linking issue. Hi! I wish I could help you! I have checked with loading my site in the Internet Explorer, Chrome, and Firefox. However, did not have any issues with the loading of images and posts in my workstation. Best of luck! Hi! I guess it’s quite impossible to keep track if someone would be stealing your write-ups. All I can say is that: I stay true to myself when quoting from someone’s work. It is good to be honest yourself and give credit to the originators by giving proper credit to the original creators. If anybody resorts to plagiarism, then it is his/her personal choice of dishonesty. All I can tell is that those who do it without any qualms would never reach very far! So don’t worry; be honest to yourself, appreciate other people’s work by giving them proper credit, and move ahead! this paragraph is in fact a nice post, keep it up. I hope this helps! Again sorry for a very late reply! loved the usual info a person provide on your visitors? Wow, that’s what I was looking for, what a material! existing here at this web site, thanks admin of this website. Hi there very cool website!! Man .. Beautiful ..
publish, we’d like work out more strategies in this regard, thanks for sharing. on this subject. Well with your permission let me to grab your RSS feed to keep updated with forthcoming post. Thanks a million to you, too for this encouragement! Hi! I usually update from time to time. Thanks for your interest. Look complex to more added agreeable from you! However, how can we communicate? If some one wants expert view on the topic of running a blog after that i advise him/her to go to see this website, Keep up the good job. onto a co-worker who had been conducting a little research on this. You are most welcome! Glad that my toil is worth! of people are looking round for this info, you could aid them greatly. Wow! Thanks a million! You made my day! I blog frequently and I seriously thank you for your information. Your article has truly peaked my interest. information about once a week. I subscribed to your Feed as well. bought an impatience over that you wish be delivering the following. matter, your web site came up, it seems great. I’ve bookmarked it in my google bookmarks. Hi there, simply become alert to your blog thru Google, and located that it’s really informative. Thanks! I hope to visit Brussels someday, Lord willing! Marvelous, what a web site it is! This website presents valuable information to us, keep it up. I think that you just could do with a few p.c. to power the message house a bit, but other than that, that is great blog. Thank you for your kind observation and comment. Thank you so very much! I really appreciate! Thanks! Please do! I really appreciate! Asking questions are truly nice thing if you are not understanding something fully, but this post offers fastidious understanding even. Yes, I would like to get more information on this! I would like to consider the options once you reply. Would send you a mail. Thanks! that I extremely enjoyed the standard information an individual supply on your visitors? account it. Glance complicated to more added agreeable from you! Rest of the contact details are in the FAQ section of my blog. your information. The article has really peaked my interest. information about once per week. I subscribed to your RSS feed too. to seeking more of your fantastic post. Also, I’ve shared your web site in my social networks! I believe everything wrote was very reasonable. Feet is a little vanilla. You could look at Yahoo’s front page and note how they create article headlines to get people interested. You might add a video or a pic or two to get people excited about what you’ve got to say. articles and additional data, is there any other web site which provides these kinds of information in quality? Thanks! I really cannot refer any at this moment! Could any of the readers please suggest? I really like it when folks come together and share views. and describing the whole thing regarding that. Thanks! Glad to be of any help! clarity in your post is just cool and i could assume you’re an expert on this subject. I’ve had problems with hackers and I’m looking at alternatives for another platform. Hi! Thanks! Please check out the FAQ section of this blog. I have answered to your queries there. Please check out my FAQ. Solution is given there. genuinely nice and the viewers are actually sharing pleasant thoughts. sites online. I will highly recommend this blog! Thank you so much! I really appreciate! It’s not my first time to go to see this web page, i am visiting this web site dailly and obtain pleasant data from here all the time. post to be updated daily. It consists of good information. Hi! Please check out the FAQ section of this blog. I believe you’ll find the answers to your queries regarding the specific problem that you’ve mentioned! paragraph which I am reading now. Please check out my blog’s FAQ section. You may google or search in YouTube. Do you have any specific queries? Thank you! I really appreciate! Hello, I log on to your new stuff daily. Heheh thank you so very much! Most welcome! Please thank your cousin on my behalf! so it’s pleasant to read this blog, and I used to go to see this weblog everyday. WordPress on a number of websites for about a year and am anxious about switching to another platform. Hi! I wish I could help regarding your problem but honestly speaking, I still have no experience regarding PHP. If I stumble across any resourceful information regarding this, I shall post that in the FAQ section of my blog. Anyway, thanks for your query. All the best! Hi! You mean to say regarding the ‘About Me’ post? I’d appreciate if you kindly clarify. Thanks for your question. Please check out the FAQ section of this blog for your answers regarding my view on how to take care of spams. Hope this helps! Howdy very nice web site!! Man .. Beautiful .. Wonderful ..
go to see this web site all the time. Thanks! Please check out the FAQ section of this blog. I believe you will find your answers. Thanks! Check out the FAQ section of my blog. I’ve given a solution out there. Hope this helps!